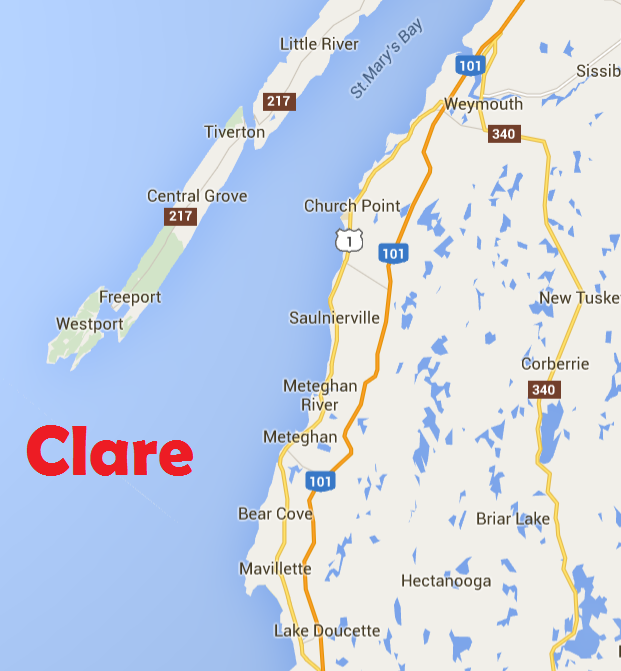 The municipality of Clare is located in Digby County, along the shores of Baie Sainte-Marie in southwestern Nova Scotia and is home to the largest Acadian community in the province. It is basically the 42 kilometer stretch of the Evangeline Trail from the Sissiboo River to Beaver River, encapsulating various small communities like Grosses Coques, Church Point, Saulnierville and Meteghan. 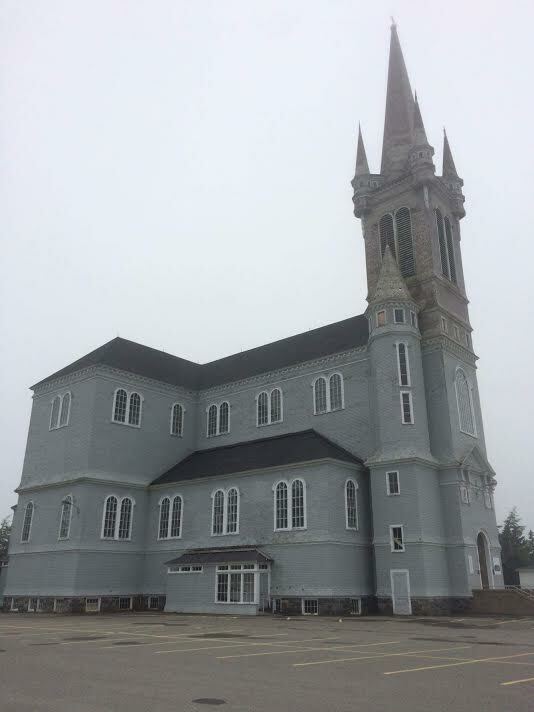 The road is lined with ocean views, Acadian flags, magnificent churches, hidden parks, fishing wharfs, and ice cream shops! It is a musical place with friendly people. Even if you’re just driving through, it is worth making a few stops to take in the scenery and culture. Thanks to @DeliaComeau and @GillianWesleyNS for encouraging me to go on this trip and directing me to some good eats/attractions. Also much thanks to @BaieSainteMarie for their hospitality! We stayed at Chateau Sainte Marie, a charming Victorian-style Bed & Breakfast in Little Brook with ocean views and modern amenities. Chris and Gyu-Na, who run the B & B, were friendly, helpful, and provided a relaxing and laid back experience. 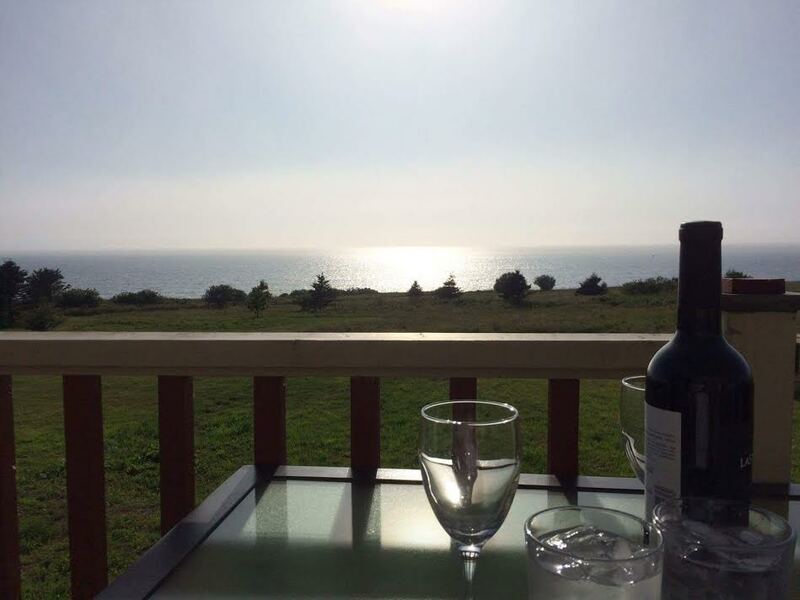 You really can’t beat a drink on the deck or a walk along the coastline in their back yard. So why did I go to Clare? I went for the Acadian food, of course! But I also feel that I discovered a hidden gem. There is more to Nova Scotia than Halifax, Lunenburg and the Cabot Trail – especially if you’re a food tourist! 1. You can try Râpure (a.k.a. Rappie Pie)! 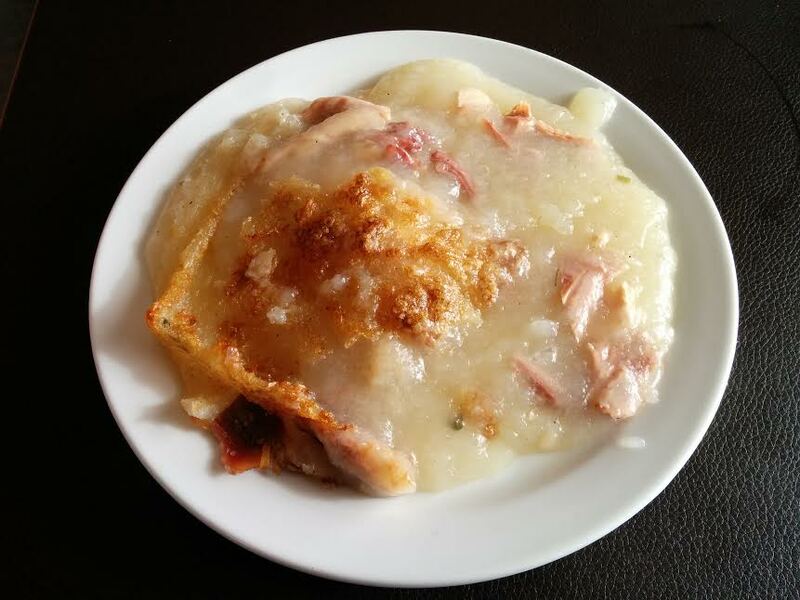 Râpure, commonly referred to as “rappie pie”, is the ultimate Acadian comfort food. It is made from dehydrated shredded potatoes, which are reconstituted with the stock and meat of – usually chicken, but often clam or beef (or porcupine, if you know a guy). It has an odd goopy texture and a down-home flavour that LuShark said reminded her of her grandmother’s turkey gravy. 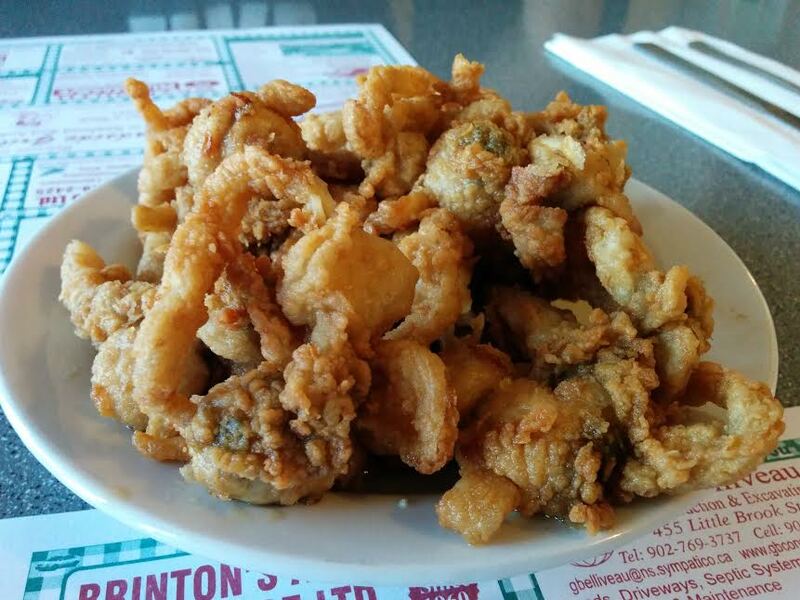 For some reason it hasn’t really caught on outside of the Acadian Shore, but a real food tourist collects food experiences how a Pokemon Go player collects…. OMG did I just go there? I tried all of these and preferred Roadside Grill and La Cuisine Robicheau, but LuShark’s fav was the Cape View Restaurant. Smuggler’s Cove is a provincial park in Meteghan. It’s a small cove with a sea cave that was used by rum runners during Prohibition. During low tide you can make your way down the long wooden staircase and walk on the rocky beach. The view is stunning! There is a picnic park just by the parking lot but you’ll have to do the stairs if you want the view. La Cuisine Robicheau is said to be the nicest restaurant in Clare, but that doesn’t mean it is a stuffy, white tablecloth experience. You gotta BYOB (there is no corkage fee) and on Thursdays there is a roving Acadian band (Musique de la Baie!). Diners weren’t too shy to hoot and holler or get up and dance! Reservations are recommended. We came a little early and enjoyed a couple drinks out on the patio while we waited for our table. LuShark remarked that people pay thousands of dollars for European coastal vacations when we have it right in our own backyard. It’s hard to beat this kind of beauty, relaxation and hospitality for the price. We particularly enjoyed the fish cakes (sm $9.95/lg $11.95) and the haddock with creamed lobster ($24.99). The chicken rappie pie ($8.95) was one of the best ones I’ve had and we adored the Coconut Cream Pie. The weather was rather grey and misty on our visit to Mavillette Beach, so I took this photo from the Baie Sainte-Marie web site. Mavillette Beach is a long, sandy beach with big tides that expose some big ‘ol sand flats. The tide was out on our visit so we had to walk a ways on the wet sand to frolic in the waves. I guess on nice days the sun heats up the sand flats, thereby warming the water when the tide comes back in. Nearby there is a bird watching platform, Cape St. Mary’s Lighthouse and the Cape View Restaurant which has an amazing view, creamed lobster and rappie pie. Cape View Motel & Cottages is also just up the hill and looks like a lovely place to stay. 5. There are ice cream shacks everywhere! This part of the Evangeline Trail is laden with ice cream shacks and you won’t find any hand paddled hype here! The region is blissfully unaffected by the fro-yo craze, and seems to lack any sort of artisanal pretension. No, you won’t find miso or cloves in your ice cream here. It’s all good ‘ol fashioned soft serve and scoops. The folks at the Rendez-vous de la Baie (Visitor’s Centre) recommended we try the lobster poutine at Chez L’Ami and it was pretty good for being ice cream shack fare, with its frozen shoe string fries and too-rich, thick creamed lobster. Our favourite ice cream shack was Palace de la Glace Molle, which had a beautiful view of the bay, friendly staff, and a unique selection of frozen treats. I was stuck between the peanut butter dip cone, the rhubarb oatmeal sundae or the orange & vanilla swirl cone. (I went with the latter). The Rendez-Vous de la Baie Visitor’s Information Centre is located in the Université Sainte-Anne (the only French post-secondary school in Nova Scotia). I chatted with the friendly staff about the Clare nightlife, lobster poutine and the perils of sea caves before checking out the Interpretive Centre. This little museum packed a lotta punch into a small, well maintained area. LuShark, being somewhat of a history enthusiast, found this to be a very refreshing exhibit. It was easy and fun to appreciate. 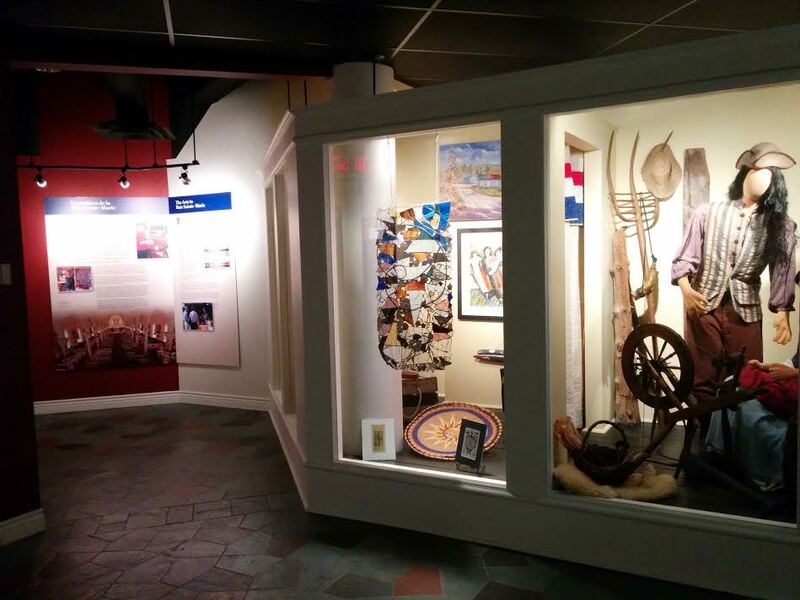 There was lots of information about how the Acadians came to settle the region, the industries and religion that sustained them, and their unique language. This was a highlight of the trip for us! 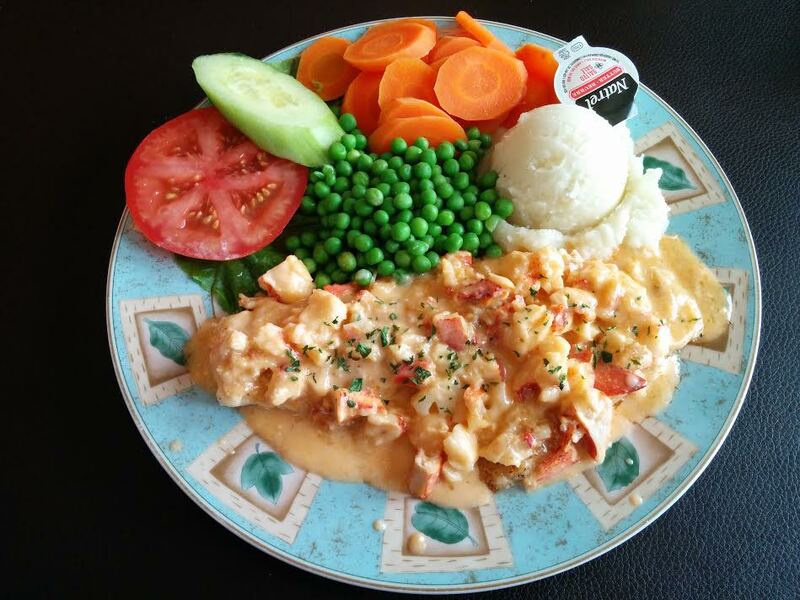 A signature dish of the Acadian Shore is creamed lobster on toast, but creamed lobster is also found on poutines, in sandwiches, and slathered on seafood. At La Cuisine Robicheau, you can get it on top of toast, scallops or haddock. The Cape View Restaurant also serves up a creamed lobster on toast, and Chez L’Ami (as mentioned) does a cheap ‘lil lobster poutine. 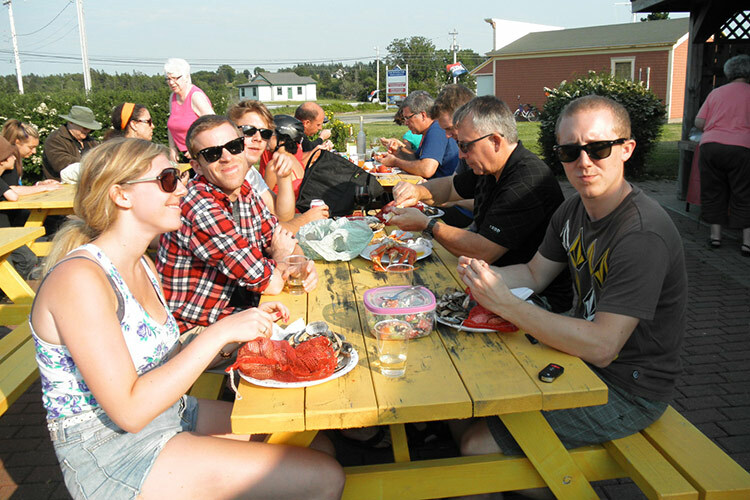 Every Friday in the summer there is a festive feast at the wharf in Belliveau Cove. Beaux Vendredis Lobster Suppers bring together tourists and locals in an informal outdoor dining experience. Lobster, snow crab and steamed clams are served and Musique de la Baie are on site! Musique de la Baie performs here Tuesday evenings. Be aware that they generally close at 7pm, consistent with Clare’s curiously early bed time. 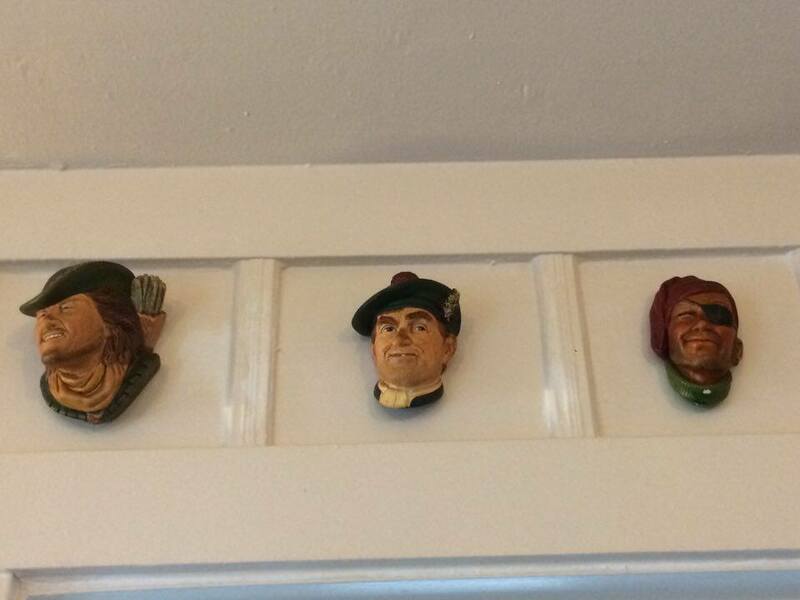 Careful what you say, because there are quite a few eavesdroppers in this little diner! Restaurants close early. Church Point Social Club and the tavern in Meteghan are there to service locals but aren’t exactly destination pubs/bars. I previously made a joke that there are no concessions in Concession, but there is actually La Shoppe Verte Ltee. – a convenience store, coffee shop, lunch spot, and satellite liquor store! Open ’til 9pm Mon-Sat (6pm Sunday). I would advise you to travel by car, but there is a shuttle that will take you from Halifax to Clare (Mariner Shuttle). I would advise you to travel by car, as there is no public transportation and you will need to be able to zip around 42 kilometers of road. However Transport de Clare is a nonprofit, community-based transportation service in Digby County that can get you around if you plan ahead. Clam Digging in Belliveau Cove. Bangor Sawmill: the only restored and functioning water-operated sawmill in Nova Scotia. 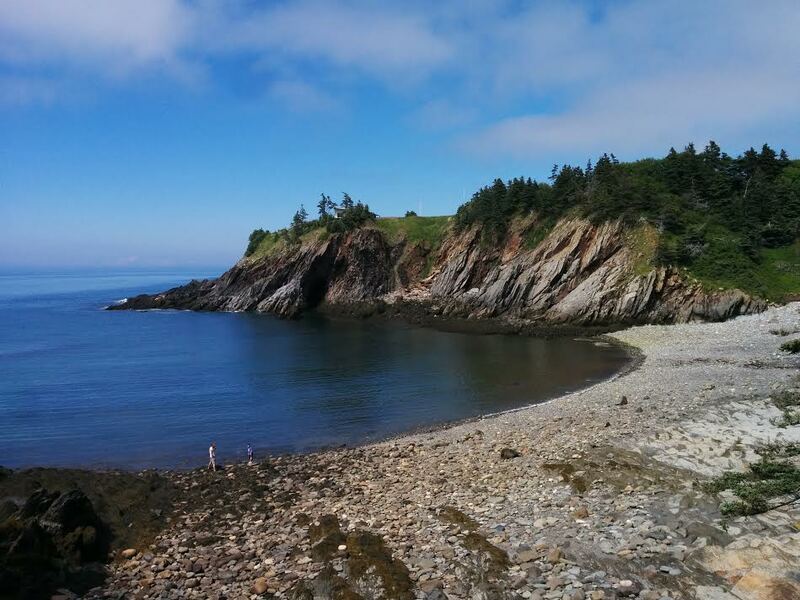 See more at Discover Baie Sainte-Marie! Thank you to Rendez-Vous de la Baie for covering our accommodations – support like yours makes my job much easier, showcasing the hidden gems and delicious eats around Nova Scotia! You ever consider doing some travel writing as a profession? Your travel entries are well done and make me want to visit! 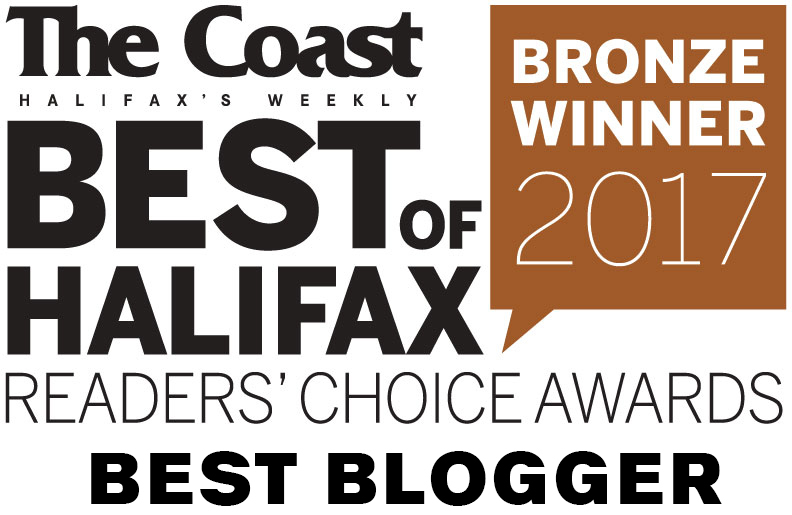 Haha…yes we have been caught unawares by the early closings in many a community in Nova Scotia, including the Acadia shore, those French are lovers for a reason. It sure is pretty down there though isn’t it? One of our favorite places, but you have given us some ideas of things to check out, thanks. It amazes me how many times I can be in a place and not have experienced everything. You did not mention 2 restaurants,Seashore and Around the bend in metehgan. Also,why \id you regret going to Curch Point social club?? went with the recommendations I got beforehand. I’ve reworded my evaluation of the Church Point Social Club, but let’s just say I love dive bars but it was too divey for me. More for locals than visitors. I have been to Clare and the Acadian Shore, it is awesome, the people are so much fun and easy to talk to. The wooden Church is really something you must see, the lobster dinners are another really fun event. I was there for Clare days and everyone has a great time. So many nice little pubs and restaurants. And you forgot one of the largest industry in clare…. ( the mink farms ) in the eastern part of clare…yes clare ( easton and hilltown ) is in clare……. Love articles like this that encourage people to vist our awesome Community . Thank you for that. Sorry that you missed stoping at our ice cream take out. Which ice cream take-out are you from? I wish I could have gone to all of them! Check out the awesome Tide Kite Days and Festival, at Belliveau Cove, Nova Scotia, Canada’s Ocean Playground from June 25- Sept.10, day of Festival. Let’s all go fly a kite, at low tide, every Sunday. Enjoyed your article. We make two pilgrimages to Clare a year to enjoy the Acadian hospitality. LaCuisine Robicheau is always on our itinerary for Saturday evening dinner. and sometimes a second visit on Sunday. We started going to Clare when Chez Christophe was open. 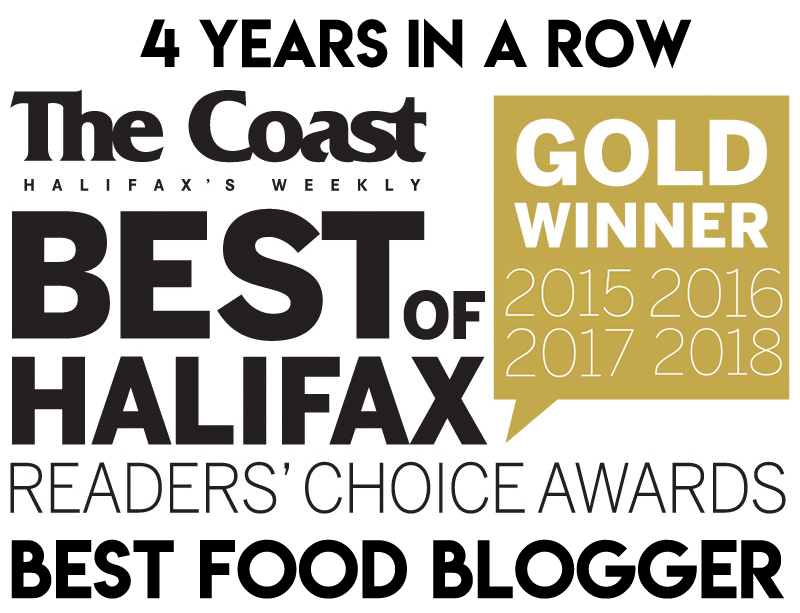 It’s owner, Paul Comeau, passed away 4 years ago and La cuisine has filled the void. We always stay at SuBen B&B in Little Brook where were are treated each morning to an incredible breakfast of either lobster, crab or scallop omelette. I think this is an old ad. Evangeline rapure is now closed. Andy’s Place in Meteghan has great seafood and local cuisine, Rapure, fricot, hot lobster and a greaseless air fryer. We are on Facebook. Sips cafe in Meteghan has great desserts and coffee.